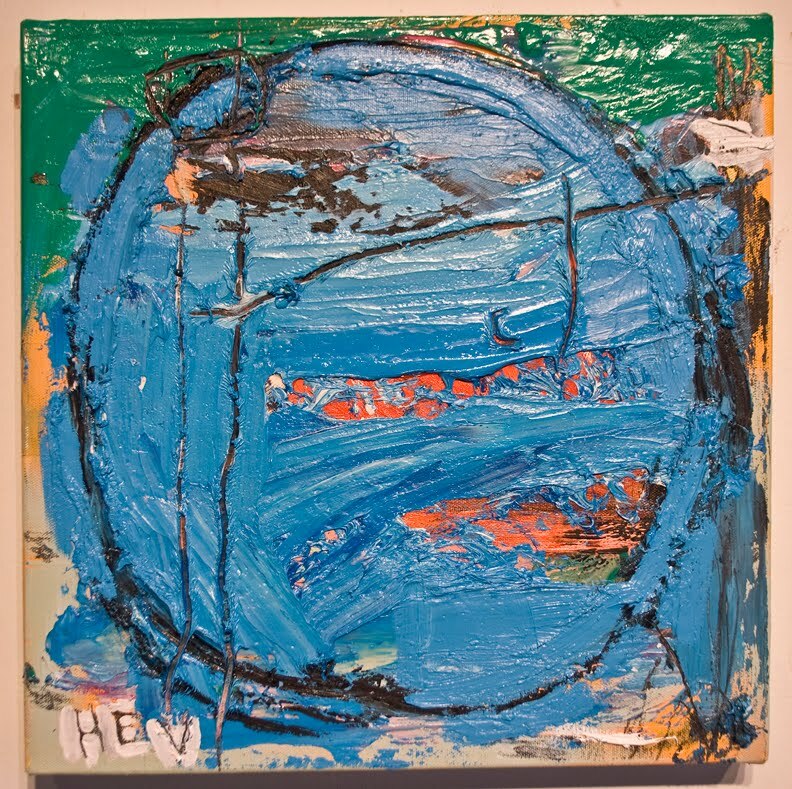 This is an image of my buddy Dan Callis’ work: (hev, oil on canvas, 14″x14″). This program really gives you a very different perspective about the history of the color blue, as well as our ability to see colors. Kinda makes me wonder what I’m not seeing. Jad Abumrad, and Robert Krulwich do a splendid job tackling topics of interest in the sciences and life within a radio program that has to be one of the most creatively edited ones out there. Not to mention too that it just has a good sense of humor. This entry was posted in Interesting.... and tagged color perception, Radio Lab, the meaning of color. Bookmark the permalink.